also more likely to experience success at removal. Cherry Blossom Tattoo Designs -In Japan, cherry blossoms (sakura) are a metaphor for life. A brief, brilliant blooming, followed by the inevitable fall. Bushido, the samurai’s code, takes the cherry blossom as its emblem. The blooming of the cherry tree is the purest manifestation of beauty in Japanese culture, but then the blossom swiftly fades and is scattered by the wind. This is the perfect death for a true warrior, who has lived with constant awareness and acceptance of the precariousness and transitory nature of existence. The essence of Bushido, or the Way of the Warrior, is that the true Samurai lives every day knowing it may well be his last. A samurai’s motto is, “This is a good day to die”. The cherry blossom as a tattoo design is a powerful reminder that life is fleeting and we must live in the present and cherish every waking moment, for it may well be our last. There are many different styles and design of tattoos available today. 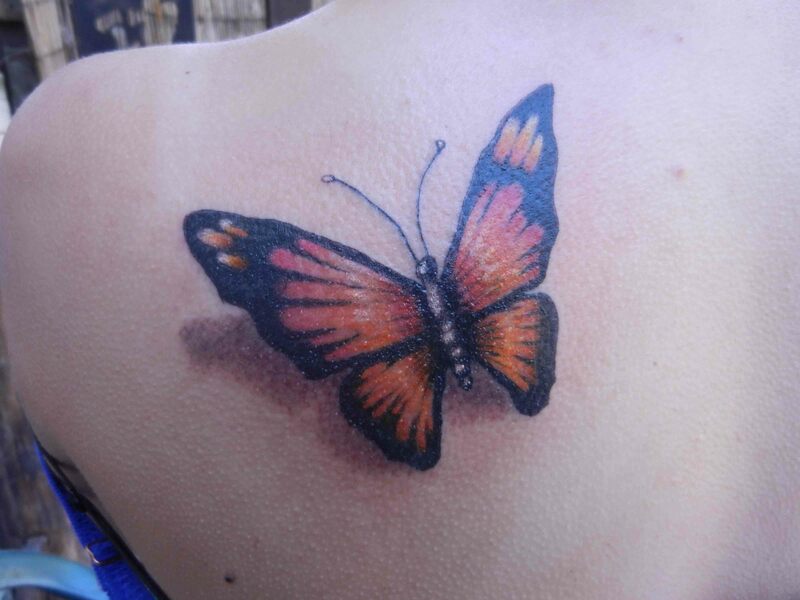 Depending on the technical skill and creativity of your artist tattoos can be made to look like a water colour painting, metal, an open wound etc. But what your tattoo ends up looking like is limited to your artist. You need to make sure you choose a tattoo artist that is passionate about art and proficient with their tools. The better the tattoo artist the more they can charge much more money compared to others; and what you are paying for is their skill to produce for you the piece of art that you want. It is the same with any other business, the rules of supply and demand does not escape the tattooing industry. This does not mean you need to be rich in order to get a beautiful tattoo, but perhaps you need to appreciate that patience will get you the piece of art you desire. Your artist should be willing to work in stages with you, and should not be happy to compromise their artist ability. When researching your artist, make sure you look at their tattoo portfolio in detail to see how well they are executed. There have been cases where the tattoo artist has digitally manipulate the tattoo picture they’ve published, or have posted other peoples work via their media for ideas which have been misleading. Most tattoo pictures are taken the day of getting their tattoo, so not only won’t look their best but you will also have no idea if certain colours stayed, or if the area got too overworked, and scabbed up really badly the next day.